Winners of the Southwest Conference for the second consecutive season, the Rockets are hoping to finally break the curse of the Golden State Warriors. Golden State has knocked Houston out of the playoffs in three of the last four years, including beating the Rockets in the Western Conference finals in 2017-18 and 2014-15. This year's average asking price of $172 represents a 20% increase over 2017-18, and ranks the Rockets No. 12 across the NBA for average asking price. With the playoffs set to start April 13, Rockets fans should expect to pay a premium for postseason tickets. According to TicketIQ.com, postseason tickets on the secondary market generally cost 54% more than regular-season tickets. Primary market playoff tickets go on sale next week via AXS. Rockets fans can still get playoff tickets at face value through Shoowin.com. The company allows fans to reserve face-value tickets for big events and then purchase tickets when the event becomes available. According to the company website, fans can save up to 98% over other ticket-selling sites. According to the Shoowin website, the reservation market for opening round is already closed, but reservations for the conference semis through the NBA Finals are still available. Fans can reserve tickets for the Western Conference semifinals at Houston for as little as $17 for a potential home Game 1 and as much as $103 for home Game 4. Western Conference finals reservations start at $10 for a potential home Game 1. 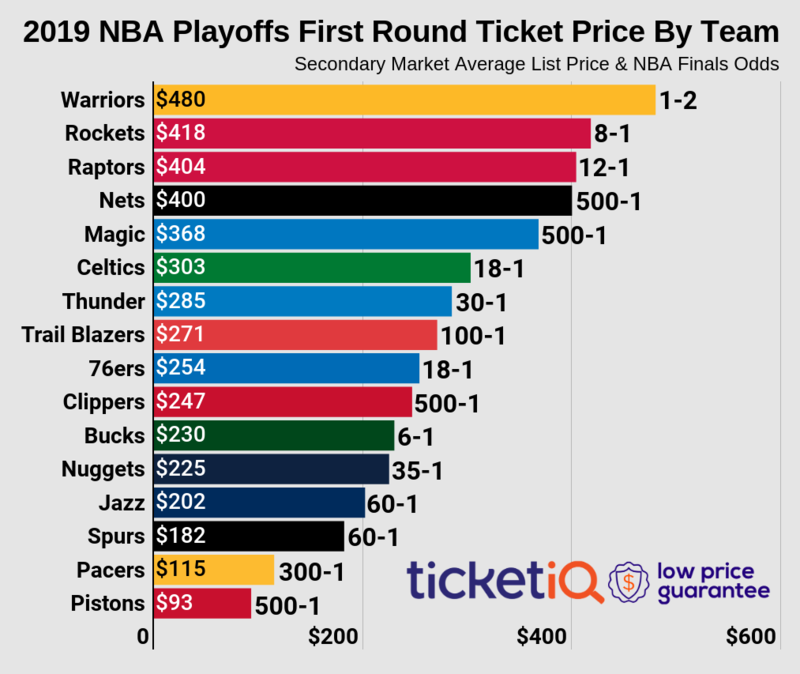 Reservation prices rise significantly for the NBA Finals in Houston -- the cheapest reservation price is $115 for a potential home Game 4, which would be Game 7 of the Finals. The Rockets have reached the NBA Finals four times, winning back-to-back titles in 1993-94 and 1994-95.